All the songs listed below are now available for MP3 download at JUST 89¢ EACH (no limit). You can also order an entire album with just one click at a special reduced rate. 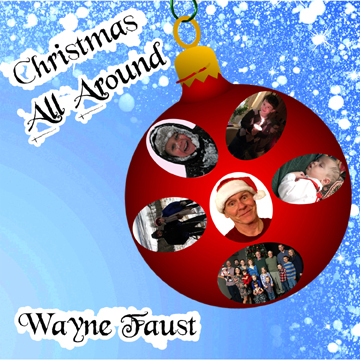 Wayne's got a BRAND NEW Christmas album! Wayne's song about the Chicago Cubs! Wayne Faust, a Chicago native, wrote this song after the Chicago Cubs won the World Series in 2016, their first championship in 108 years. This is a poignant reminder of what that victory meant to so many Cub fans around the world. 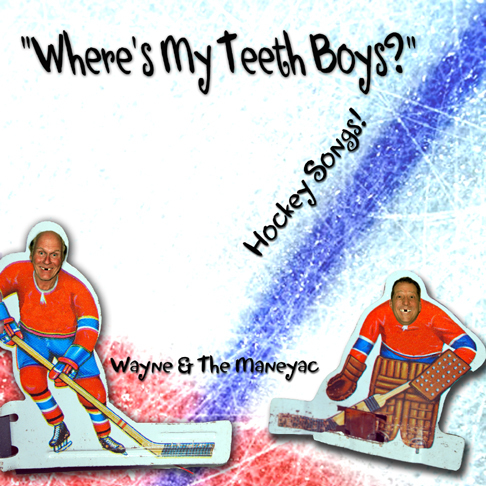 Click here for Wayne's, limited-release blast-from-the-past album! Clicking 'BUY' on any of the song links will take you to Wayne's MP3 Download shopping cart for each album, where songs are listed in album order. You can order as many songs as you want. All of our downloads are in REGULAR MP3 FORMAT, so you can play them on any music player or computer. When you check out, an e-mail will immediately be sent to you for each song you purchased, with a link for downloading each song. This is a great way to get just the songs you want at a great price. 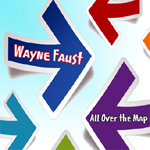 Songs From the CD "All Over the Map"
First because Wayne travelled all over the map to write and record this stuff. Listen to the song samples below and we think you'll agree. Songs From the CD "Who's That Guy In the Picture?" Songs From the CD "Bald Guys Are Cool"
Download the entire album for just $10.95! Songs From the CD "Songs From the Road"
Download the entire album for just $9.99! Songs From the CD "Bald Guys N' Beer"
Songs From the CD "Mellow Stuff"
Download the entire album for just $7.99! Songs From the CD "Kid With A Guitar"
Songs From the CD "The Good Stuff"
Songs From the CD "Unicorns and Old Friends"
Songs From the CD "Singin' In the Shower"
Songs From the CD "Wayne's Christmas Songs"
Songs From the CD "I Saw Jesus"